So, I'm often asked lately if I now oppose the adoption of older children. NO, of course I don't. I will never be convinced that it's in any child's best interests to be denied the opportunity to grow up in a legally permanent family. What I do oppose, however, is the abandonment of the adoptive parents once the placement is finalized. I oppose leaving adoptive parents to manage on their own as they adapt to neurodiverse children and youth who will take years and years to reach a point of emotional regulation, if ever. And, don't let anyone tell you otherwise - all of our children are neurodiverse. Their negative pre- and post natal experiences of drug & alcohol exposure, of hearing and witnessing emotionally dysregulated adults, of neglect and abuse etc...... it doesn't leave them with neurotypical brains regardless of how sweet they look or how much attachment therapy they receive. I also oppose the continued use of therapies and supports that have not proven to be effective in actually helping the children to develop emotional self-regulation and relationship skills. And I oppose the lack of ongoing supports that are free and available to parents so that they aren't brought to their emotional knees when the relationship, or the potential for a relationship, with the children becomes a source of daily pain. And, I oppose the shortsightedness of the adoptive industry that revels in the early years of the adoptive family but fails to provide age and stage appropriate supports when the child hits adolescence and begins the natural process of de-taching when their brains haven't even developed to a point where they can a-ttach. Truly, I don't understand why people think in *either/or* terms - such as - the children either remain in foster care or they get adopted. How about continuing to place children and youth for adoption AND providing adoptive parents will relevant and effective skills and supports so that the parents don't develop neurodiverse brains from the years of stress and chronic conflict that is almost inevitable with our children. Where is the ongoing or *use when needed* respite care? Where are the courses for foster parents on the unique factors of providing respite care for adoptees? Where is the training for adoptive parents on how to manage chronic conflict - in fact, where is the chronic conflict even acknowledged as a normal part of adoptive family life? I know that agencies and government departments who place children will site lack of funding for such services. Okay, well, first these same places have to admit that the services and supports are needed and then they can begin sourcing the finances. You can't have a goal until you have correctly identified the need. How basic is that? Most adoptive parents pay exorbitant fees to therapists (like me) and do so by forgoing any hope for retirement savings or sometimes even for their own health care. They also don't have access to respite and if they do find it, they are too often accused of *dumping* their child, albeit temporarily. There are some workshops and some therapists who provide parent support - but most often it's about increasing parenting skills, as if that will do the trick. 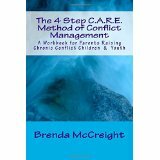 They are presented as if learning how to manage conflict will end the conflict - or if learning how to manage a rage will end the raging - or if understanding that the child's grief that provokes the negative behaviours will resolve the behaviours. Well, if you are reading this, the you likely know that these things don't end during the child's growing up years. With some of our children, they never end. What to do about this - well, the first thing is to start talking about it and that's what I'm doing here. The second thing is to start advocating for services that we need and are provided - and we need to reject the same old same old that have never brought about change. We also, as adoptive parents, need to stop being afraid to tell people how hard this path we've chosen is. We are not failures simply because our child or teen can't respond well to therapy - we aren't failures because our child or teen hasn't bought into our version of family. 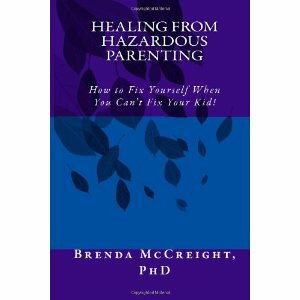 We aren't failures because we lead parallel lives with our children. We just are what we are - parents who are doing our best and struggling - and we are parents who need better and more appropriate help. So, have your best day possible - you are entitled to a better one.